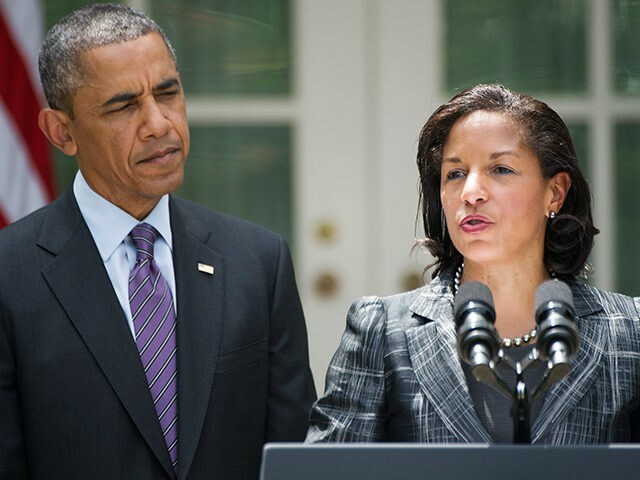 Below are five facts from Susan Rice scandals every American should know. 1. Susan Rice allegedly ordered surveillance of Donald Trump’s 2016 election campaign aides as part of a political intelligence operation. Rice allegedly maintained spreadsheets of Trump aides’ telephone calls “one year before the 2016 presidential election,” according to the Daily Caller. 2. Rice claimed that climate change was responsible for the deadly civil war in Syria. Hundreds of thousands of Syrians have been killed in the conflict since President Barack Obama drew his infamous “red line” in 2012, promising to retaliate against Syrian President Bashar al-Assad’s regime if it used chemical weapons on its own people. 3. Rice once declared that there is “no military solution” to the raging conflict in Yemen. “As in Syria, there is no military solution to the crisis in Yemen,” Rice said in April 2015, during a speech at the Arab American Institute’s Kahlil Gibran Gala. Seven months before Rice’s speech, President Obama had called his administration’s drone strike-driven military operation in Yemen a success story. President Trump, however, ordered more airstrikes against al-Qaeda in Yemen in February than any year in Obama’s presidency. In March 2015, Sgt. Bowe Bergdahl was charged with treason for allegedly deserting his fellow soldiers and abandoning his Afghanistan outpost in 2009. As Breitbart News reported, six soldiers lost their lives searching for then-Private First Class Bowe Bergdahl after he abandoned his outpost. 5. Susan Rice was the driving force behind a misinformation campaign about the Sept. 11, 2012, Benghazi terror attacks. Then-UN Ambassador Rice, acting as the Obama White House’s spokeswoman, appeared on five Sunday morning talk shows and repeatedly claimed that the Benghazi attacks had been caused by an anti-Islam video. Rice appeared on ABC, CBS, NBC, Fox News, and CNN and regurgitated talking points purporting that the protests that had erupted “spontaneously” near two U.S. government facilities in Benghazi, Libya and were a result of a “hateful video” that was offensive to Islam. But government documents, released following a Judicial Watch lawsuit, reveal that government officials monitoring the attack in real-time did not cite an anti-Islam video as an explanation for the paramilitary attack on the U.S. diplomatic mission in Benghazi.